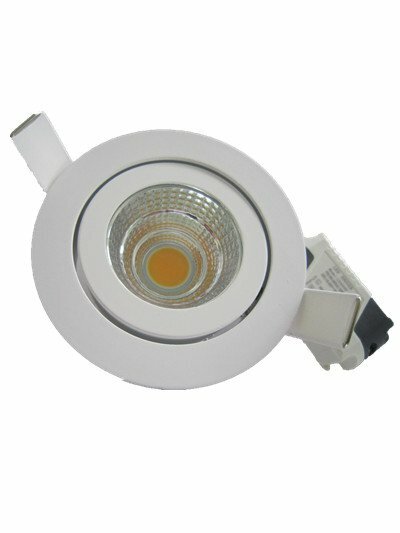 Are you looking for an orientable downlight LED 5W? 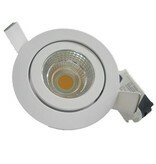 Look at this downlight recessed 5W LED grey or white 30°/40°/60°/90°! Does this downlight recessed 5W LED grey or white 30°/40°/60°/90° beam fit in your interior? Continue reading then! 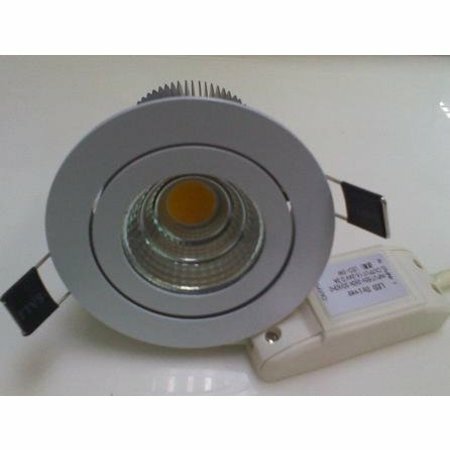 This downlight recessed 5W LED grey or white 30°/40°/60°/90° contains 1 COB LED module of 5 Watt. The descending orientability is +/- 20°. The available beams for this downlight recessed 5W LED grey or white 30°/40°/60°/90° are 30° (suited for direct lighting or accent lighting), 40°, 60° and 90° (suited for general lighting or indirect lighting). 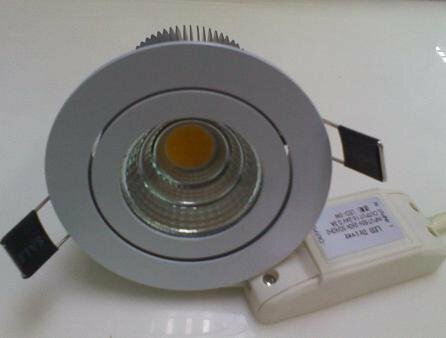 The material is made of cast aluminium and the available light color temperatures are warm white, normal white and cold white (white LED). 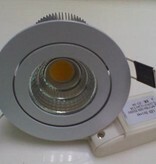 The advantage of this downlight recessed 5W LED grey or white 30°/40°/60°/90° ist that it's available in white and grey. The form can be choosen in round or square (square is optional). 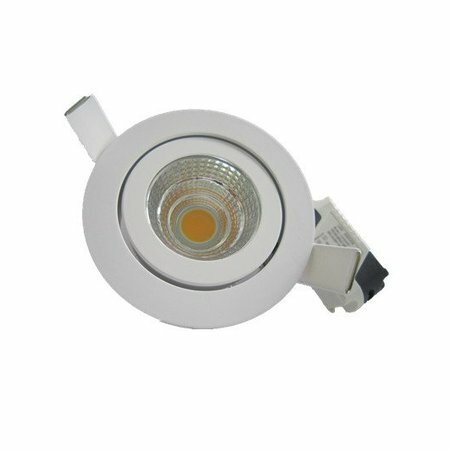 The applications of this downlight recessed 5W LED grey or white 30°/40°/60°/90° are légion : as living lighting, kitchen lighting, bathroom lighting but also as shop lighting or office lighting. This is the perfect light for shops as there is no UV-radiation or infrared radiation and clothes will not fade. When you install this downlight recessed 5W LED grey or white 30°/40°/60°/90°, it's important to check the measures : especially for the opening and the height. If the present height is too big, you can always choose a reduction ring. The big advantage of LED downlights is that they produce less warmth. Beware that you don't install isolation on the cool ribs otherwise the downlight cannot cool down. 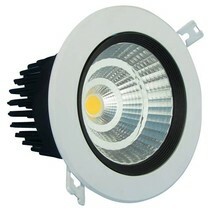 Besides the fact that this downlight recessed 5W LED grey or white 30°/40°/60°/90° is nice and easy to install, there are more reasons to buy it at My Planet LED. You can order easyly and quickly with us. 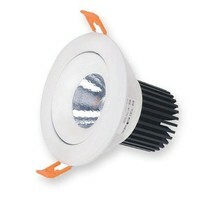 Do you hesitate about this downlight recessed 5W LED grey or white 30°/40°/60°/90°? No problem! You can use our 14 days return policy. This allows you to see if it fits in your interior. And of course, My Planet LED has an excellent service. Do you have more questions? Contact us by phone (+32) 57 466 866 or by mail (info@myplanetled.com) in order to obtain more information about this downlight recessed 5W LED grey or white 30°/40°/60°/90°.